Nashville is the capital of the U.S. state of Tennessee and the county seat of Davidson County. Nashville was founded by James Robertson, John Donelson, and a party of Wataugans in 1779, and was originally called Fort Nashborough, after the American Revolutionary War hero Francis Nash. Nashville quickly grew because of its strategic location, accessibility as a river port, and its later status as a major railroad center. 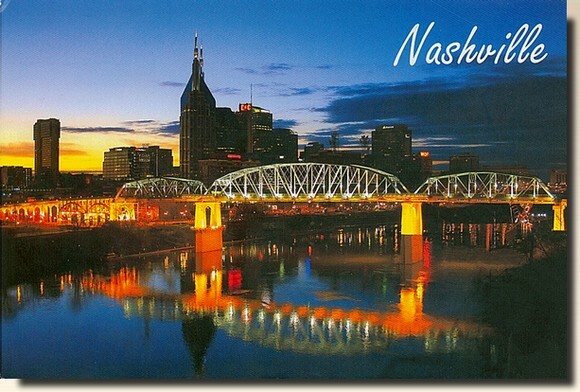 In 1806, Nashville was incorporated as a city and became the county seat of Davidson County, Tennessee. In 1843, the city was named the permanent capital of the state of Tennessee. It is most notably known as a center of the music industry, earning it the nickname "Music City".